Premier hot water heater installation services in Ocean County. Too often, you don’t even realize there’s a problem with your hot water heater until it’s too late. Until the hot water stops coming out, starts leaking or begins to make a lot of noise. When this happens, you may find yourself scrambling to find expert hot water heater installation experts in the LBI area. Air Tech is here to help. When your heater is on its last legs, give us a call. But, you don’t have to wait until then. Depending on how old it is, there’s a good chance your hot water heater isn’t as energy efficient as it could be, resulting in higher than necessary utility bills. We are experts at upgrading your equipment to the most eco-friendly options on the market. As one of the most experienced plumbing companies in Ocean County, NJ and surrounding areas, we have been serving our customers since 1999. When you reach out regarding the repair or replacement of your hot water heater, we know that time is of the essence – not only for comfort, but also for safety. The professional plumbing technicians at Air Tech work diligently to meet all your needs, as quickly and efficiently as possible. If you need a hot water heater installation or hot water heater repair services for your home or business in Long Beach Island or Ocean County, New Jersey, contact us today. When it comes to installing the right hot water heater for your home or business, you can rely on Air Tech. With so many options to consider, we’ll ensure you get the best hot water heater, installed at the best price. 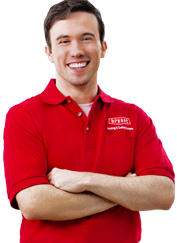 Our installation services include educating our customers on how to choose the right hot water heater for their needs. We also remove your old unit – and dispose of it properly. You’ll never experience hidden fees with Air Tech. We pride ourselves on top quality work, done right the first time, and establishing relationships in the community built on trust. According to Energy.gov, an Energy Star tankless water heater can save you about $100 annually. But, a traditional water heater may make more sense if you are on a limited income and need a quick replacement. When it comes time to research your options for a new hot water heater installation for your home or business, our experts can help you determine the right product for you. Let’s take a quick overview. Standard hot water heaters, also known as conventional hot water heaters, are typically a lower initial investment up front and are easy to install. Although they are not designed to keep water heated for a long time, they’re a good choice for smaller families. 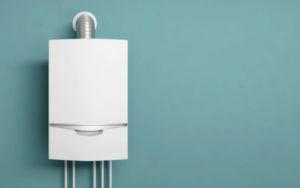 Tankless hot water heaters are more costly up front, but they can save big money in the long run. According to Energy.gov, “For homes that use 41 gallons or less of hot water daily, on-demand (or tankless) water heaters can be 24%–34% more energy efficient than conventional storage tank water heaters.” Although installation is a bit more complicated, they don’t take up as much space. Plus, with almost double the lifespan of a standard hot water heater, they last you a lot longer; a bonus for larger families. Not sure if you should repair or replace your hot water heater? Here are some common signs it might be time for a new, energy-efficient unit. If your unit is 10 years old (or older), it could be time to start researching your replacement options. What if you didn’t install your current unit? How do you find out it’s age? Check the year it was manufactured by looking at the serial number tag on the plate, usually found on the upper portion of the unit. The serial number code contains the date that usually appears something like this: “A116012543.” The first letter is “A” and represents the month it was manufactured, with “A” being the first letter in the alphabet that means it was manufactured in the first month of the year, January. The next two numbers represent the year, 11. Now you know your unit was manufactured in January of 2011. If rust is coming out of your faucet, it may be a sign that you have a rusty tank which could lead to a costly leak at any moment. But, the only way to know for sure is to call in the professionals to diagnose the issue correctly. Are you starting to hear a rumbling from your hot water heater every time it’s turned on? This could be a sign that it is on its last leg. Why the noise? As your hot water heater ages, sediment starts to build up on the inside of the tank, usually at the bottom. This sediment starts to harden which makes it less efficient. Since it uses more energy to heat up, it’s working harder, running longer and probably wearing out. Whenever the water heats up, your tank’s metal also heats up and expands. This constant cycle can lead to small cracks in older tanks which can eventually result in leaking water. A common sign that it’s time for a new tank, there’s still a chance you might be able to salvage the current unit. As always, consult with a licensed hot water heater installation expert to address the issue right away. At Air Technical Service Heating, Cooling and Plumbing, we offer hot water heater installation, repair and maintenance services throughout LBI and the surrounding NJ areas. Since 1999, residents and businesses have trusted our qualified technicians to get the job done right the first time. When the time comes to start researching your options for installing a new unit, call Air Tech today!